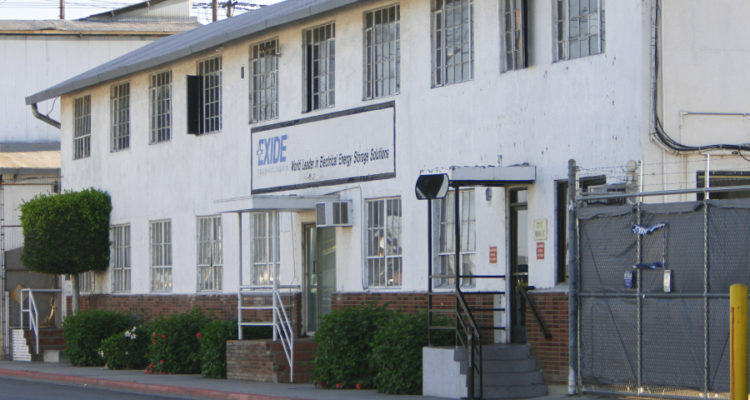 Over the next several weeks, county officials will host a series of events in the Eastside to inform residents about the effects of pollution from the shuttered Exide battery recycling plant in Vernon, the subject of a years-long federal criminal investigation. The Los Angeles County Department of Public Health will hold a discussion about the health effects of lead contamination on Saturday at the East Los Angeles Health Center, followed by a free blood lead testing session on Oct. 27. 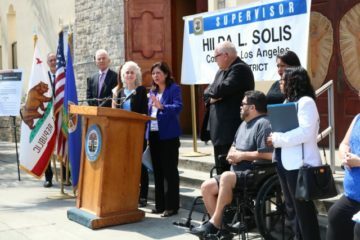 Los Angeles County Supervisor Hilda Solís, who oversees East Los Angeles, Boyle Heights, Vernon and other communities in the vicinity of the Exide plant, will be available to speak to residents, Public Health announced on Twitter. These efforts are part of an ongoing campaign by Public Health to inform residents about the effects of the Exide pollution, including weekly community meetings and a monthly resource event that started in January. The county has offered free lead paint repair to homes in communities affected by Exide, and the state Department of Toxic Substances Control conducts soil testing for those who are concerned they may have been exposed, according to the Public Health website. The Exide plant, which operated for over three decades before being forced to shut down in 2015, was found to have released lead and arsenic into the surrounding communities — chemicals that increase the risk of cancer, breathing diseases, and learning problems in those exposed. People can breathe in arsenic and lead in soil and dust around Exide when these materials become airborne and settle on clothing and shoes, according to a Public Health fact sheet. 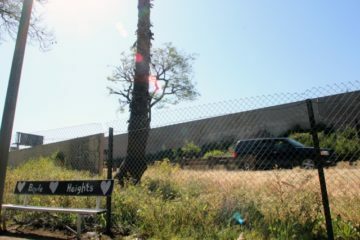 A Los Angeles Times report earlier this year found that Boyle Heights and East Los Angeles have the highest rate of contaminated homes, but their residents are among those who have waited the longest for a cleanup. Last year, Public Health conducted a door-to-door community health survey within 1.7 miles of the Exide facility, including households in Bell, Boyle Heights, Commerce, Maywood, East Los Angeles, Huntington Park and Vernon. 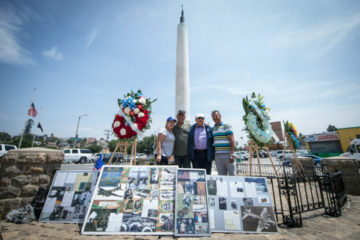 The survey revealed, among other findings, that more than three-quarters of people living near the plant are worried about someone in their household getting cancer as a result of the pollution.